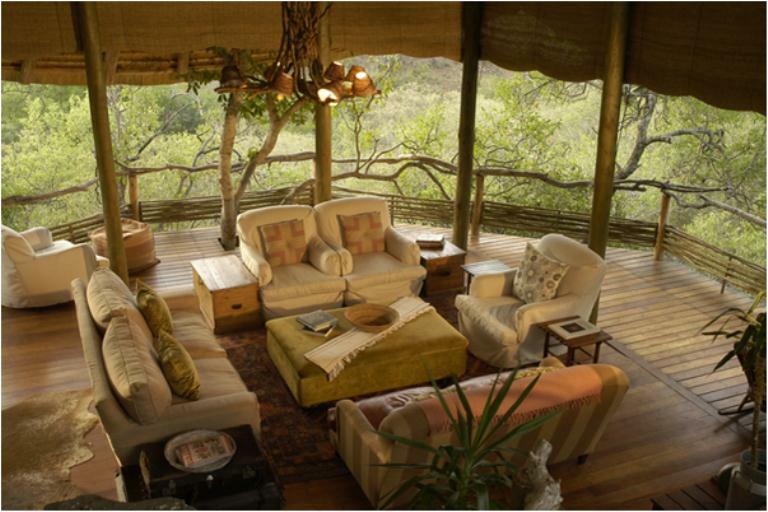 Buffalo Ridge Safari Lodge is a 16-bed luxury facility designed by Nick Plewman, an acclaimed small lodge designer. 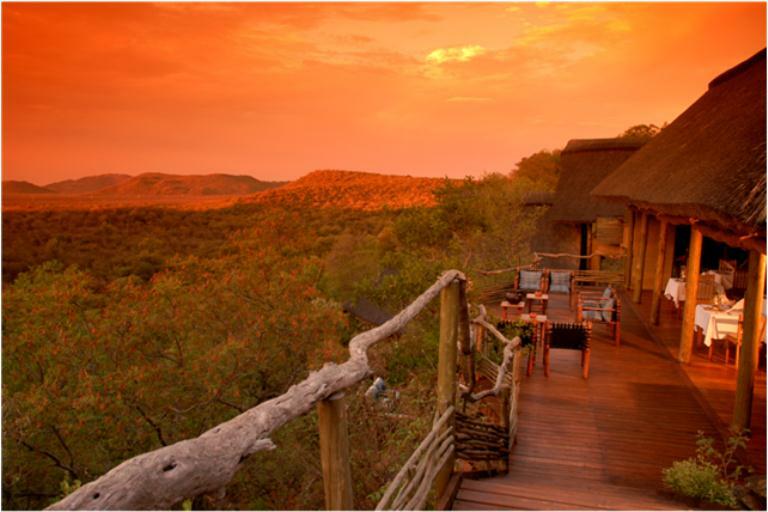 The lodge is situated at a prime site in the west of the Madikwe Game Reserve, straddling the Tweedepoort Ridge with expansive views across the northern plains and Inselbergs. The central lodge sits on the slopes of a hill across a ravine, separating it from the chalets. Each of the chalets is positioned on the ridge with expansive views to the north. 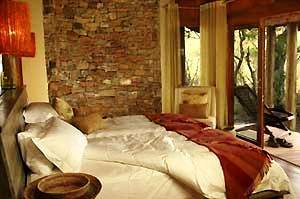 Buffalo Ridge Safari Lodge opened in November 2004. 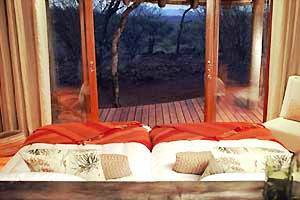 Buffalo Ridge Safari Lodge is situated on the Tweedepoort Ridge overlooking the plains and inselbergs of the western section of Madikwe Game Reserve. 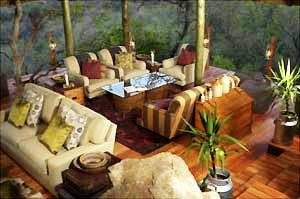 The lodge has eight suites, each with their own viewing deck, decorated in natural hews of colour and texture, offering a very private and luxurious experience. 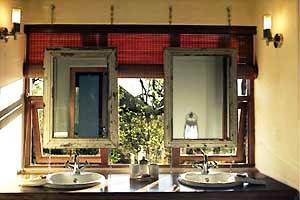 The thatched suites, with sliding doors from each room and shower allow the guest to experience a oneness with the bushveld. 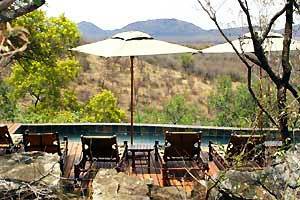 The main lodge is spectacularly located on two tiers of the ridge, accessed via a wooden bridge that crosses a ravine surrounded by rock figs. Each of the living areas has its own character, mood and style providing guests with a choice of breathtaking views and tranquil spaces. 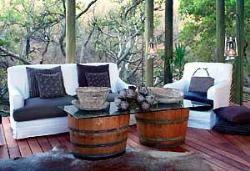 The lodge has reception, dining, lounge, upper and lower deck and swimming pool areas. 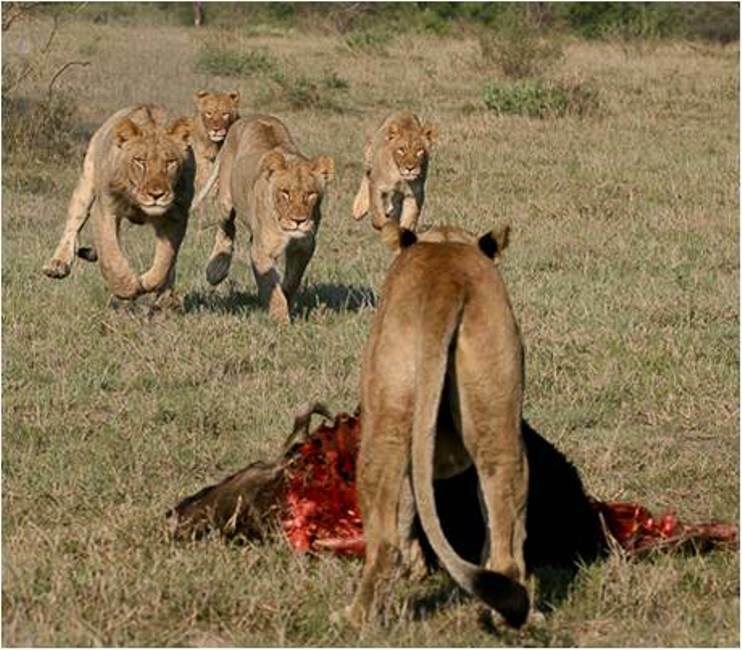 Open vehicle game drives, walks, tracking, stargazing, bush dining, birding, botany interests. Madikwe is home to a tremendous diversity of fauna and flora, including both the black and white rhino, buffalo, elephant, lion, leopard, cheetah and wild dog. 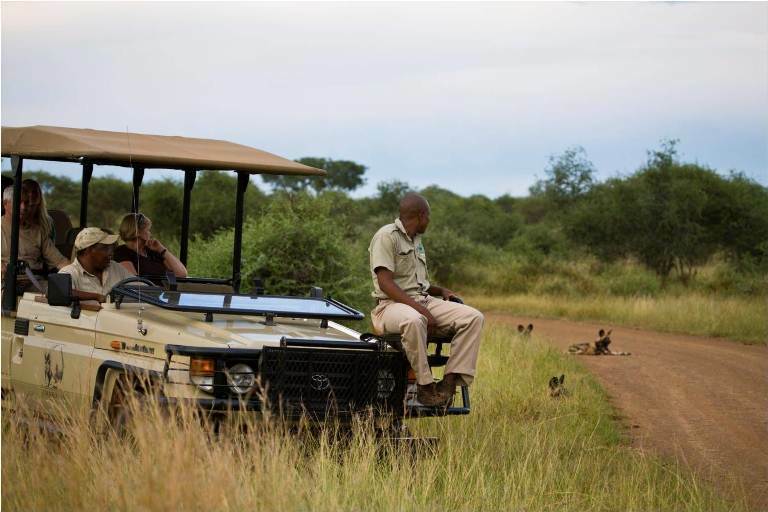 The lodge is a superb walking and open vehicle safari destination where guests are accompanied by well-trained and informative rangers who are able to interpret the many encounters whilst on safari. Children of all ages are now welcome and babysitting services are available at an extra charge (children under 6yrs are not allowed on game drives but a kiddies drive game be arranged at the lodge on request. The kiddies drive is usually done in the mornings after breakfast). Children at Buffalo Ridge (2-12yrs) pay 50% of the adult sharing rate when sharing with 2 adults (max 1 child per suite sharing with 2 adults) There is no Hiking or backpacking available. My medical mission colleague and I had a terrific 3 day/2 night visit at Buffalo Ridge. Staff were so pleasant and attentive - top quality in every sense of the term. My only suggestion would be to somehow advertise the communal ownership of the lodge. We felt even better about &apos;indulging&apos; ourselves at the luxurious lodge when we learned that it was &apos;owned&apos; by the neighboring village. It made us feel like we were really &apos;helping&apos; the community. We had a most wonderful and relaxing weekend. The staff were incredibly attentive and friendly and nothing was too much effort. The food was delicious. It was my second visit to the lodge and I must say there have been great improvements in service. Thanks for a great weekend - we will definitely be back.